I don’t usually eat Chinese (or their food), but this place rates highly. This was served with a comically-upended basket of ungarnished lettuce, which I didn’t rectify before taking the photo. 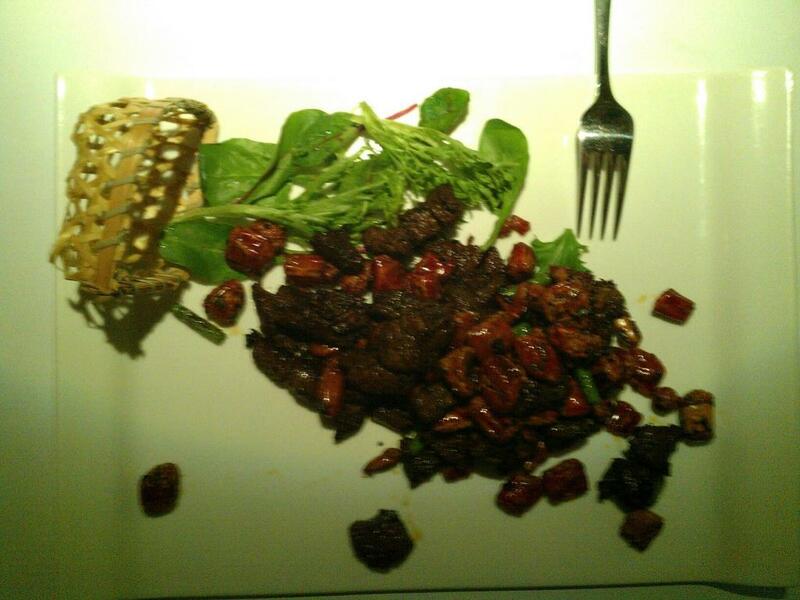 The beef of this dish was well-cooked and soy-ey. However, the chilli bits, while being very mild were very hard and ill-fitting for a dinner. It was like I was eating a combination of beef, rice, and those spicy crispy snack bits you buy in huge clear packets for two dollars. Other than that, the dish was just beef, and a side serving of white rice. The sauce never materialised. Flavoured coconut parfait, crisp peanut dacquoise, chopped crunchy peanut praline and coconut sauce. After my terrible main course, I was expecting something equally awful. However, this dessert surprised me. 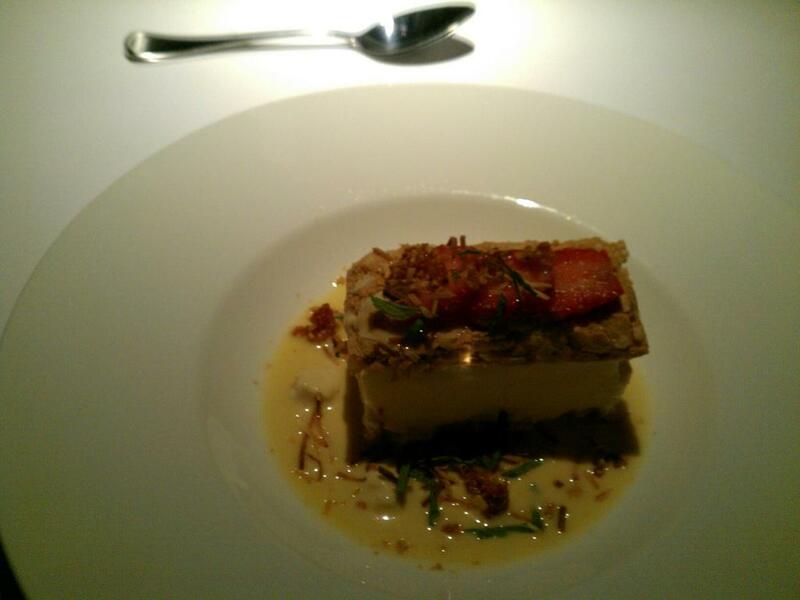 The centre of the parfait was just regular honey ice cream, but the crispy, sugary crust on top went perfectly with it. The layer underneath the parfait was strongly peanutty, and had a kind of a toffee taste. The sauce around the outside was like a watery custard, but it absorbed the taste of the slivers of mint.